aFe Control Sway-A-Way Airshock 2.5" x 10"
aFe Control Sway-A-Way Airshock 2.5" x 8"
aFe Control Sway-A-Way Airshock 2.5" x 12"
aFe Control Sway-A-Way Airshock 2.5" x 14"
aFe Control Sway-A-Way Airshock 2.5" x 16"
aFe Control Sway-A-Way Airshock 2.5" x 18"
aFe Control is proud to release the Sway-A-Way line of High Performance Universal Race Shocks. These 2.5" diameter airshocks feature 20+ years of Research and Development and have been tested in just about every different type of vehicle. 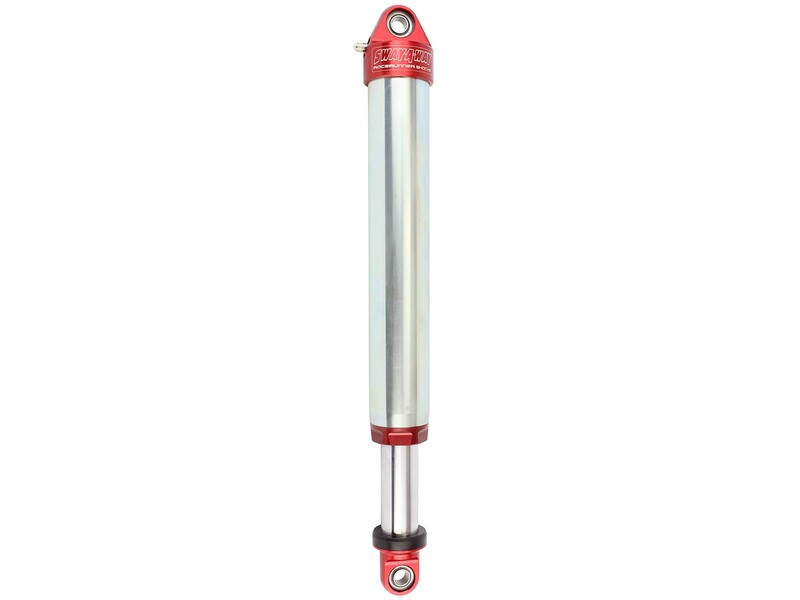 They are 100% designed and built in the USA that feature zinc plated and clear coated steel cylinder bodies for exceptional corrosion resistance and Red anodized CNC machined aluminum components. The 1-5/8" Nitrobrite steel shafts are polished for long seal life and are harder than standard chrome shafts.